School can be stressful at any school year or age. Grade schoolers must learn how to be away from their parents and sit still in class for hours a day. Middle schoolers have to prepare for high school and start to take on a tougher workload. High schoolers must juggle extra-curriculars, school work and sometimes a job. In college, students have to adjust to living on their own while also trying to get an idea of what they’d like to do for the rest of their lives. All of these adjustments can make for high amounts of stress and lead to feelings of anxiety and distress. What Effects Do Therapy Dogs Have on Mental and Physical Health? Therapy dogs can help relieve stress brought on by school in exponential ways. Studies conducted by UCLA health suggest that therapy dogs can help both mentally and physically. Simply petting animals can boost the levels of hormones like serotonin and contribute to an elevated mood, which can then translate into lower blood pressure and improved cardiovascular health. Dogs in schools, especially on college campuses, can also improve students’ mental health. 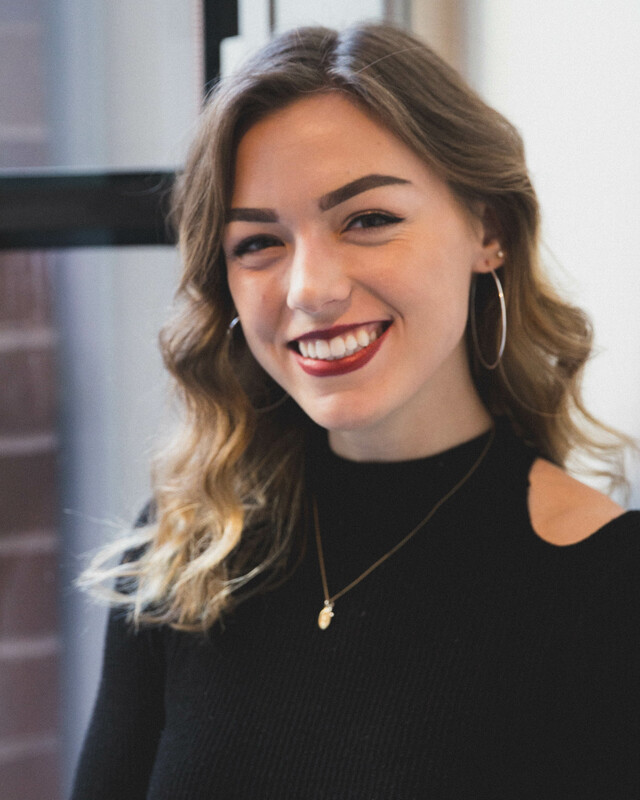 Anxiety and depression are increasingly common among college students—Penn State’s Center for Collegiate Mental Health (CCMH) reported that in 2017, over 20% of students in the study reported anxiety as a primary concern for seeking counseling. Furthermore, 15% reported depression as a reason for seeking counseling. Dogs can assist in alleviating mental health issues because of the relaxation response that is triggered when petting them. Beyond that, dogs provide comfort and companionship, which can boost the moods of students, regardless of the stress levels they are dealing with. At the grade school level, therapy dogs can be used to improve young students’ reading skills. The process of learning to read can be frustrating for all parties involved—except for the dogs! Reading to dogs can help reduce frustration and improve literacy levels because students can consistently practice reading to a furry friend without the fear of embarrassment. One study conducted by the University of California, Davis concluded that reading out loud to dogs improved reading skills in third graders by 12% over the course of ten weeks. By comparison, their peers who did not have the assistance of a therapy dog did not experience any kind of improvement in their ability to read. Dogs can therefore help younger children grow as readers who would otherwise be worried about facing judgement from their peers. Dogs in the classroom can make an important impact on children with Autism as well. In a study published by the Journal of the Society for Psychological Anthropology, a child with Autism was able to obtain a service dog for school. The family found that they did not have to leave their child at home, they went out together more often and became more unified. 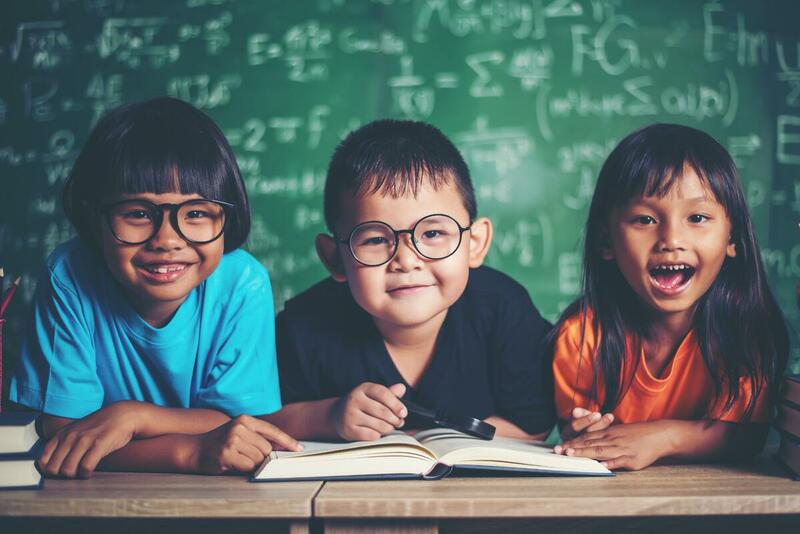 The child’s school days became less hectic, and it was easier to get through the day without having any behavioral issues. The relaxation that dogs can provide goes even further beyond the classroom for any student, especially for students with Autism. 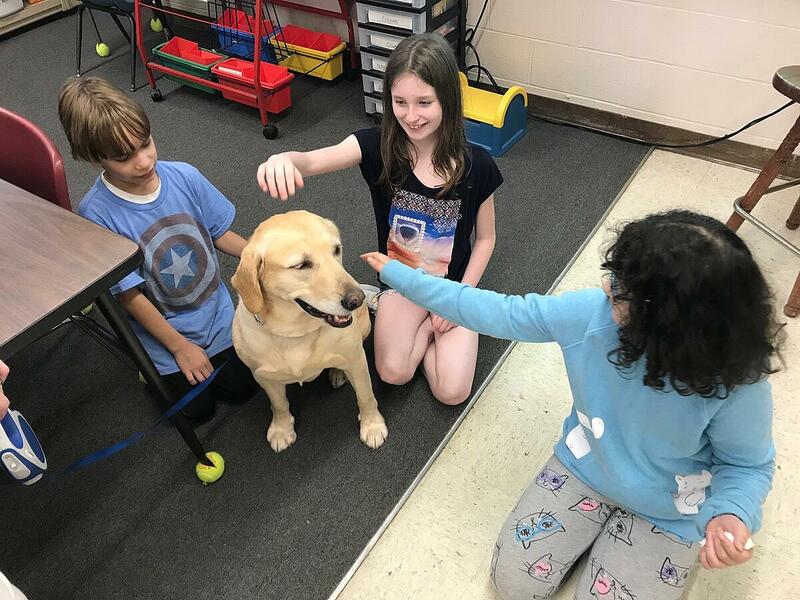 In Stow, Ohio, the Stow-Munroe Falls City School District introduced a therapy dog to the students in October 2017. Already, Jax seems to be having a positive impact on the well-being and happiness of students across all grade levels. Jax, a yellow lab, has been a reading buddy for students and has been a source of joy for them. On a daily basis, Jax helps students read and also improve students’ self-esteem and social skills. Even in the short time Jax has been a member of the Stow-Munroe Falls City School District, he has been a supportive and dependable friend to students. In Sullivan, Ohio, therapy dogs have also made a positive impact on students in the grade school, as well as in the middle school. Putter and Shatzi, two dogs owned by volunteers from the community, come to school for half days on Thursdays. They are integrated as an incentive for students, as students get to spend time with the dogs as a reward for good behavior. The dogs help to give students confidence and have become a way to bring the students extra cheer. At the collegiate level, therapy dogs are always appreciated. At Loyola University Chicago, Santos the therapy dog helps students adjust to college life and relieve stress before finals. Santos has visiting hours where he sits around campus for a half an hour each day of the week. During his visits, students are more than welcome to socialize and spend time with him. Santos’ handler, Father Scott Hendrickson, has even brought him to end of the semester masses to engage with students on Sunday evenings. Santos is especially helpful to those who have pets at home—as they are reminded of their bond with their family pets. Social dogs that also have social owners are hard to come by in Chicago, so it is much appreciated when dog lovers can mingle with Santos. Therapy dogs can help students grow, adjust and improve their overall sense of wellness in the classroom and around campus. Dogs helps students on a physical and mental level—whether it be getting over stumbling points when learning to read or helping to reduce anxiety levels. Dogs help in triggering relaxation responses from students, boosting their mood and positive outlook. Schools in the local area and beyond have proven time and time again that dogs are always a positive addition to the classroom, and they are therefore a worthwhile resource for any school.